Experience the cleanest, and healthiest method to thoroughly clean your carpets. Complete Steam Services cleaning processes are designed to give you the cleanest carpets possible, leaving you with a healthier home environment. Our promise is simple. We will provide you with the highest quality cleaning method available anywhere - and a dedication to servicing your every carpet and upholstery cleaning need. 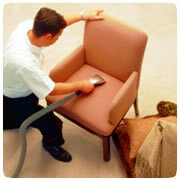 Carpets & Upholstery cleaned by Complete Steam Services stay cleaner longer and promote a healthier environment. We would be grateful for the opportunity to earn consideration as your carpet, upholstery & Oriental Rug cleaning service provider. Call us today at 386-304-4434 for a Free Estimate & Inspection or to schedule an appointment. Maintain your carpets and protect your investment. Families spend thousands of dollars on carpeting, upholstery, leather, and Oriental and area rugs as part of their overall decoration. Poor maintenance can adversely affect the look of your home, reduce product performance, and accelerate the need for replacement. Call for more details at 386-304-4434. Carpet Manufacturers understand the importance of properly maintaining your carpet investment and some are now requiring proof of cleaning every 18 months. Complete Steam Services understands the need not only to maintain a healthy indoor environment, but also to extend the life of your expensive carpet, rug, fabric, and leather investments. Many families count on us to provide solutions to their maintenance needs. Call us to find out more. If you have been thinking about replacing your flooring with new we can help by saving you 20-40% OFF retail on your next flooring purchase. Just give us a call at 386-304-4434 for all the details, and for information about how to visit the showroom. 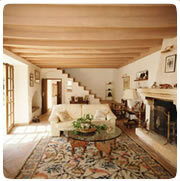 Your home, like most homes today, has a variety of floor and wall coverings. Tile and a wide range of stone now cover more than just your bathroom floors and your tub and shower walls. Like any other surface, these areas require ongoing daily, weekly, or monthly maintenance in the form of vacuuming, sweeping, mopping, and scrubbing. Call us today for more information.